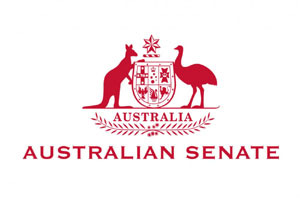 Prosper Australia shocked the Senate Economics Committee inquiry into Housing affordability with the view we have no supply constraints – because rents haven’t budged. They have been hearing from every vested interest that Supply! Supply!! Supply! is the key determinant. No, Prosper says, it is our very poor tax system. The housing affordability debate is shaping as contest between those warning of a speculator-led housing bubble and concerns that supply ­constraints are to blame for pushing up prices. Both arguments have been put strongly to a Senate inquiry into affordable housing and affordable renting. Committee members including its chair Sam Dastyari and Senator Scott Ludlam challenged claims from NGO group Prosper Australia affordability has suffered from a housing bubble caused by easy credit and lax taxes. Senator Ludlam said the inquiry had heard strong evidence that restriction of land on urban margins and in infill sites and the squeeze on supply was pushing prices up. “That’s a natural economic impact. Is that not happening or do you acknowledge that is a piece of the ­puzzle?” Senator Ludlam said. In response, Prosper Australia researcher Philip Soos said similar claims has been made during housing booms in the US, Ireland and Spain. “It’s always said that there are restrictions on supply that is causing prices to rise, but it’s quite false. Mr Soos and colleague David Collyer said that supply of new housing was strong – one new dwelling for almost every two new people in the population – but prices had still risen dramatically in recent years. “When it comes to the total quantity of housing we don’t have a shortage. What we do have is a shortage of affordable property,” Mr Soos said. STAMP duty should be scrapped and replaced with an annual land tax a public hearing for a Senate Inquiry into Affordable Housing was told yesterday. The approach suggested by research group Prosper Australia would remove many of the exemptions to land tax currently present, including one for the family home, but could potentially spread the upfront cost of stamp duty across years of home ownership and put tens of thousands of dollars back in the pockets of prospective home buyers. David Collyer, Prosper Australia policy director, told yesterday’s inquiry land tax could improve affordability and replace stamp duty, though greater controls needed to be set on how much Australian’s can borrow. Under the Prosper proposal, modelled on Australian Housing and Urban Research Institute research, a 1 per cent tax on land values, $3,600 per year on a $360,000 block of land, would make home ownership more affordable for everyone except those in Melbourne’s priciest municipalities — such as Boroondara, Stonnington and the City of Yarra where land values are commonly upwards of $1 million. It would be paid on top of local council rates. The AHURI research projected a $335,000 plot of land would see its value decline by $24,000 as prospective buyers accommodated for future land tax payments. Mr Collyer said if the government were to use this money to reduce other tax burdens, like payroll tax, it would give buyers more disposable income on top of removing the upfront cost of stamp duty. “(But) if the government just put the money in their pocket, it would drive prices down,” he said. Bravo. Keep speaking the truth and the confusion will clear. If our politicians can see the benefits and be relieved of their doubts they may discover the courage to take an interest in real and sustainable change. You should be applauded for your ongoing, reason-supported, fact-based efforts.